While working as a Human Resources Analyst, Franco used Excel to analyze data. "We found that our employees were staying late to avoid traffic", he explains. "After realizing this, we created different work schedules. This let employees select their schedules to better meet their needs." While the outcome of their analysis was useful, their team of 5 was struggling. "Using Excel took lots of time. I knew I needed to find a better way." After deciding that he needed to learn more, Franco tried Codecademy, Udacity, and Datacamp. He found they were too basic: "They take you by the hand," Franco said, describing those sites. "You don’t have to think, the instructions tell you exactly what to do. You think you're learning but you're not."" Franco found Dataquest's approach refreshing. "You learn better in the moments when it’s harder and you need to work to find a solution." approach is how it works in the real world. "Dataquest finds a balance between being too easy, and being so hard that you get discouraged." 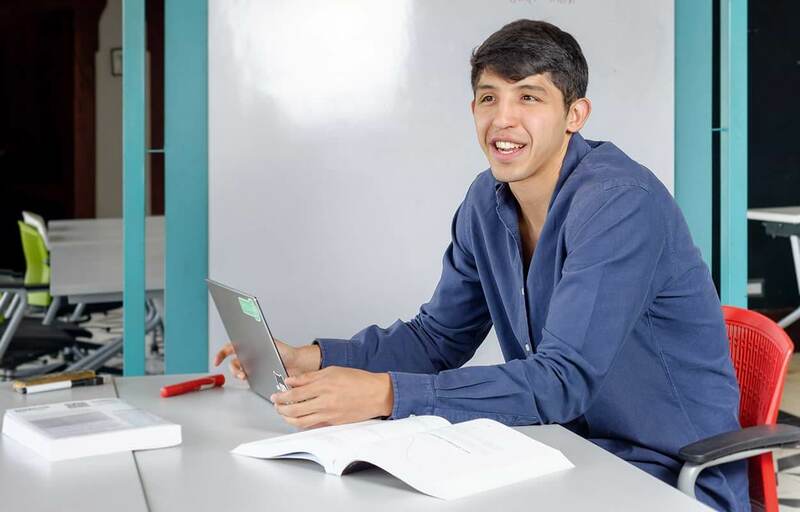 Franco used his newfound skills to join PeopleFund, a Guatemalan startup incubator. Franco said Dataquest's community was a continued part of his success. "It makes you feel like you have a team behind you supporting you. It’s a good feeling." As Franco became more familiar with data science, he started to think about taking his career to the next level. "I wanted a job that would let me ‘do data science’ every day." "Because Guatemala is not the most cutting edge country, I started by looking at companies that might have large amounts of data. I found some interesting companies, but they didn’t have any jobs listed on their website." Franco was not discouraged. He did whatever it took to try and get in front of the right people. "I would get an interview for a marketing job, and then in the interview I would talk about what I could do with data to help the company." His approach was successful. Franco was hired as a Data Scientist by Allied Global, an outsourcing company where he is in a newly-created team of data scientists working to optimize the way that Allied Global’s call centers operate. "Recently we discovered that a lot of excel reports were being emailed from the call centers, and the reporting team were wasting time getting the data out of email and into their database." "I wrote a script that connected to the gmail account, downloaded the emails into a folder, parses the excel files and cleans the data for the reporting team." "Everything I’ve learned, I’ve learned through Dataquest. They taught me the skills I need, and to find the answers when I get stuck. Their approach is how it works in the real world."